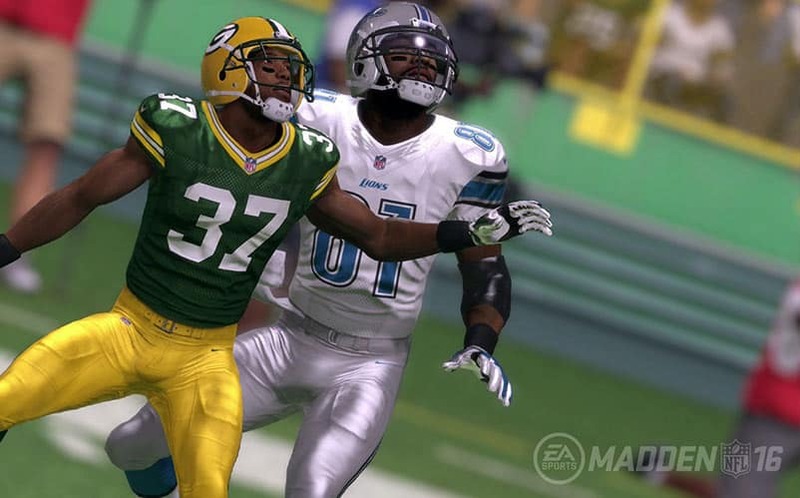 Madden 16: What the Franchise Can Learn From MMOs | Nerd Much? Today marks the release of Madden NFL 16, and after playing roughly 4-5 hours of the game, it’s abundantly clear that I don’t need it — I have Madden NFL 15, and the entire experience feels virtually identical. While the jump from Madden 25 to Madden 15 felt big enough to warrant the upgrade, there just aren’t enough differences when you’re talking about Madden 16 vs Madden 15. Before someone immediately heads to the comments to scream, “well just don’t buy it” or “you’re just a Madden hater,” let me note that that I’m actually quite a big fan of the franchise. I’ve purchased (or reviewed) Madden games for over 10 years. And while I mostly defend it, and generally review it highly, this is the first year where I really think we, as sports game-lovers, should sit back for a minute and think about whether or not it’s really worth a $60 price tag. But, I’m not going to go into a rant about why you shouldn’t buy Madden 16 this year (at least until it drops to $30-$40), because you can find those rants on Reddit, Twitter or any video game forum right now. Instead, I want to suggest an interesting idea I thought about in the shower this morning: what Madden can learn from MMOs. More specifically, what the franchise can learn from the MMO pay model. The sports genre and MMO genre are obviously wildly different, but Madden (and the sports games genre as a whole) could learn a thing or two from MMOs. What if instead of giving us a “new” full retail release every year for $60, EA starts utilizing the typical MMO expansion model? So, instead of paying $60 for a “new” game that,sure, has a couple of new minor features and is a roster update, Madden players would be able to choose whether or not to pay for a $20-$30 update expansion that adds new modes and mechanics? I’m not suggesting a $50 expansion like some of the expansions have costed recently (looking at you Warlords of Draenor and Guild Wars 2: Hearth of Thorns), but a price point of somewhere between $19.99 and $30 feels about right. What’s more, if EA took a yearly expansion right (which they undoubtedly would if they were to adopt this model), the previous year’s expansions would drop to half price while the new expansion would still come in between $20-$30. So, if you chose not to upgrade last year, but want to get both upgrades this year, you could choose to buy both for a lesser price than if you bought them upon release day. And no, I’m not saying EA should adopt subscription fees like World of Warcraft — that would be a nightmare — but the publisher should stick with the buy once play “forever” model like Guild Wars 2 or Elder Scrolls Online. To appease fans, EA should release roster patch updates every year for free, so that players don’t need to factor that in to whether or not they buy the yearly expansion. When EA announces Madden every year, they do so with bullet points and a power point presentation to accent what the changes from year to year are. And every time they do it that way, it makes the new Madden feel just like just an update instead of something radically new. It’s clear that something new needs to be done to the franchise, since its sales saw a significant decline of 20 percent last year from the year prior, and in 2013, it was down 650,000 units from 2012. Those numbers are a little skewed because of the introduction to the Xbox One and PS4, but it’s still a relevant example of the decline in interest year after year — we’re all getting Madden fatigue. Of course, it also wouldn’t hurt if gamers were able to play Madden on PC and introduce mods to the franchise, but that rabbit hole is a story for another day. 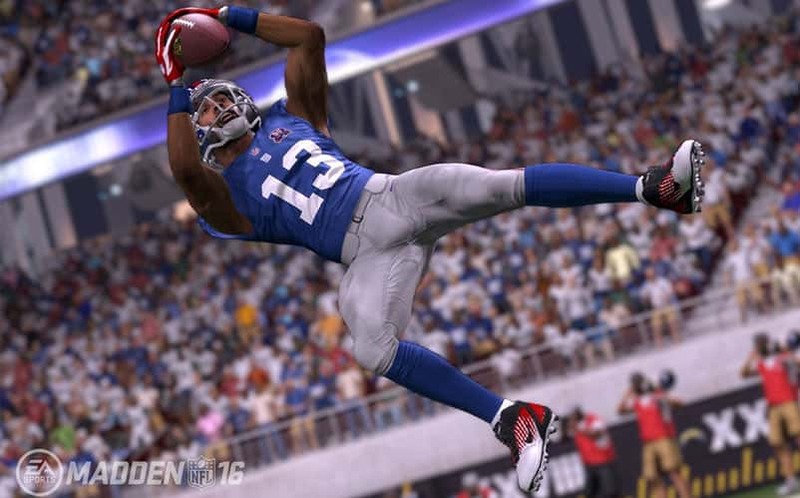 Could this MMO model work for Madden, or is the idea too radical of a change? Sound off below in the comments and let me know how crazy I am.